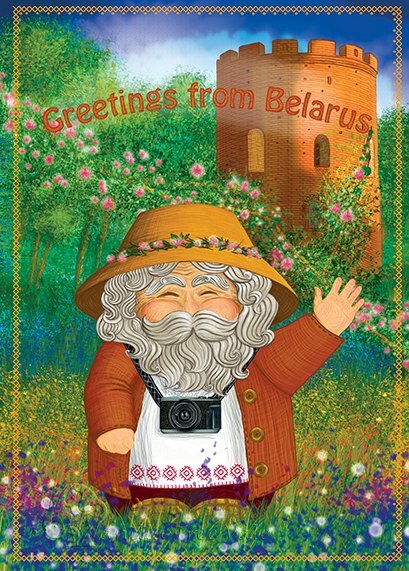 The series of postcards about the funny Damavik. 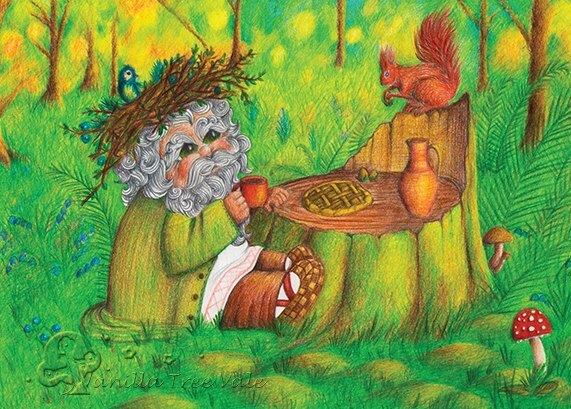 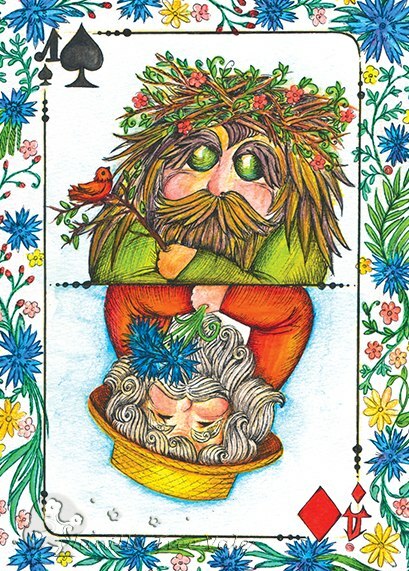 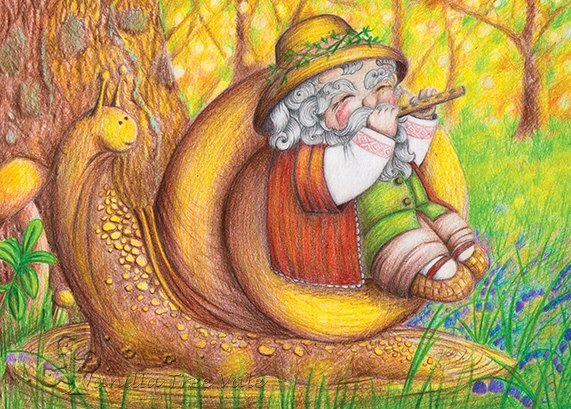 Damavik (Belarusian word, equivalent to Russian domovoi, Ukranian domovyk, Polish domowik and many other versions of other Slav peoples) is a Belarusian folklore character, a kind house spirit, house elf. 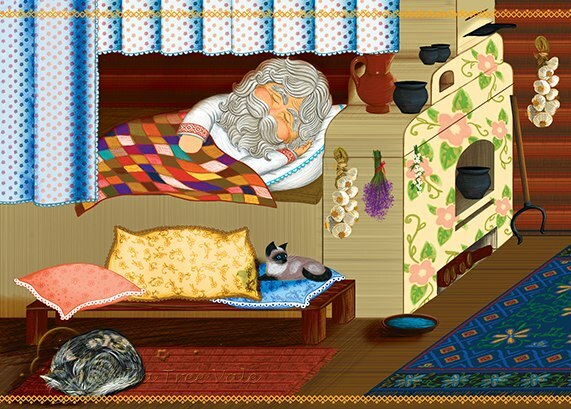 Traditionally, it is said that a Damavik inhabits every house. 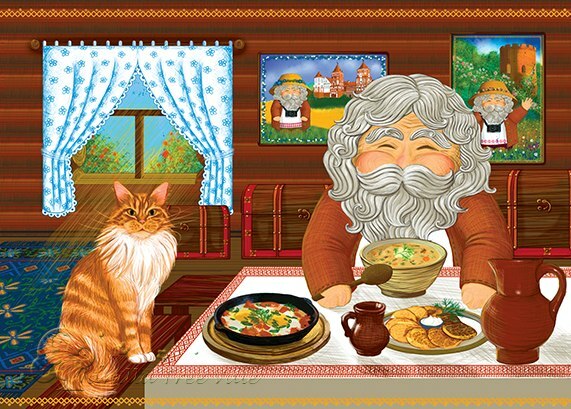 They are said be the house guardians who help with the household, if the family treats them well. 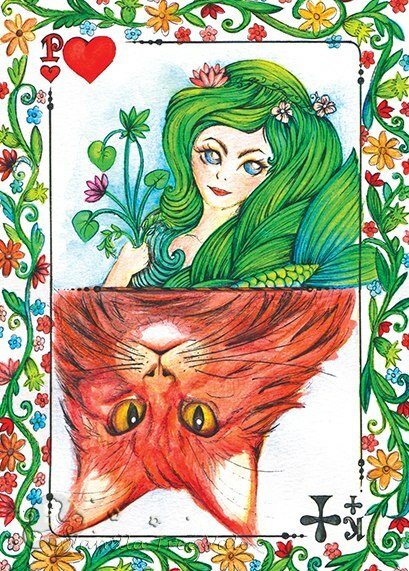 When we first published Damavik cards they immediately became a hit. 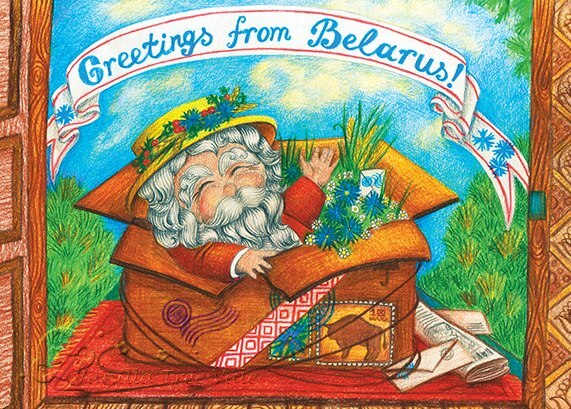 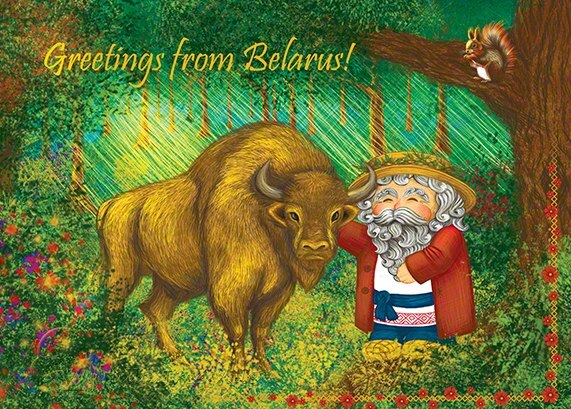 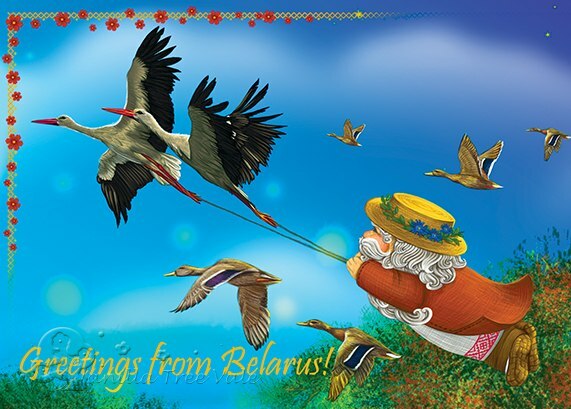 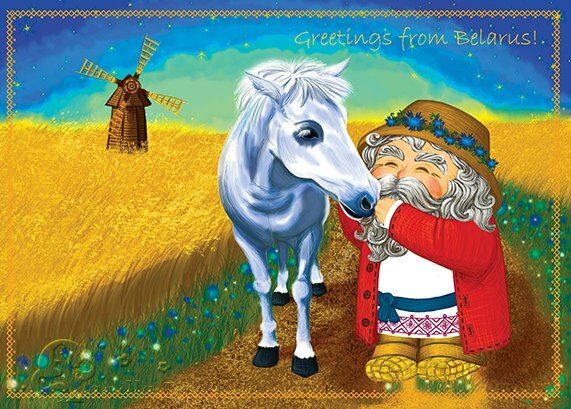 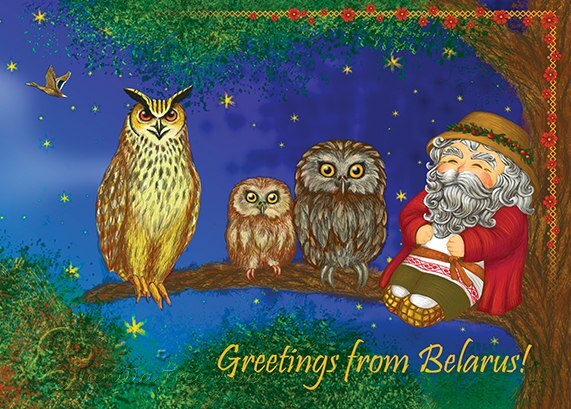 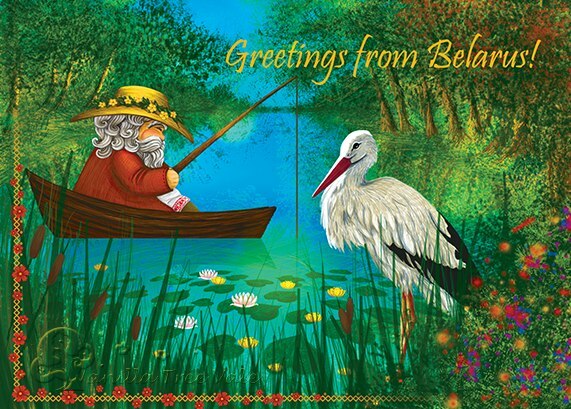 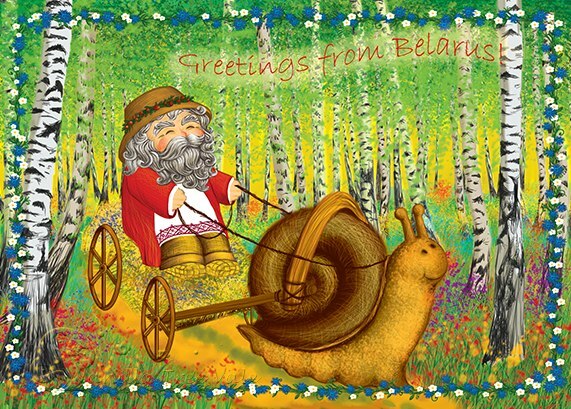 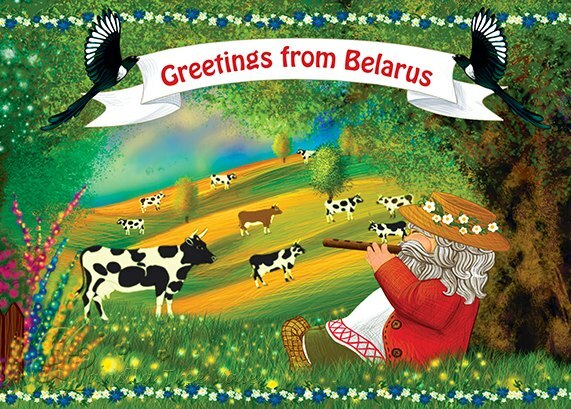 Belarusians love sending them as they bear that true and unique spirit of our country and traditions. 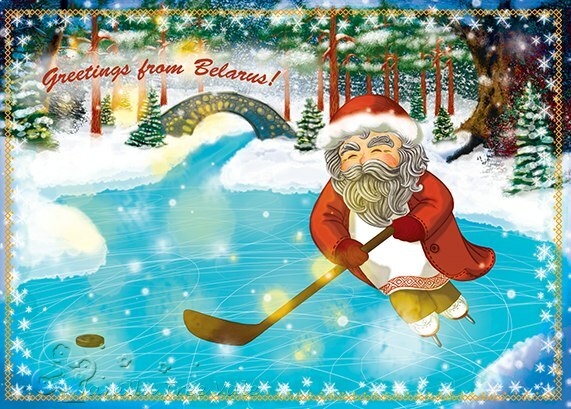 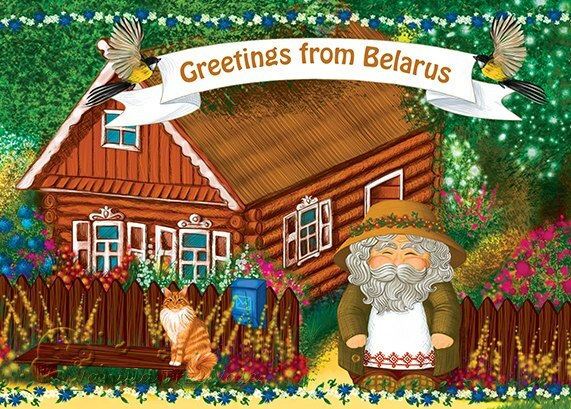 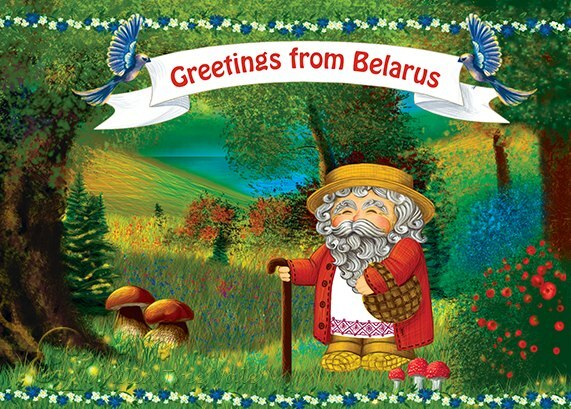 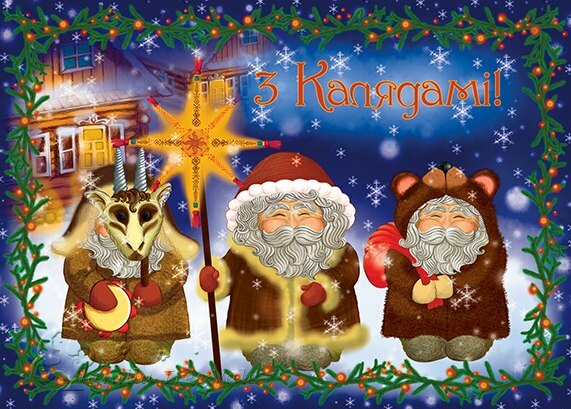 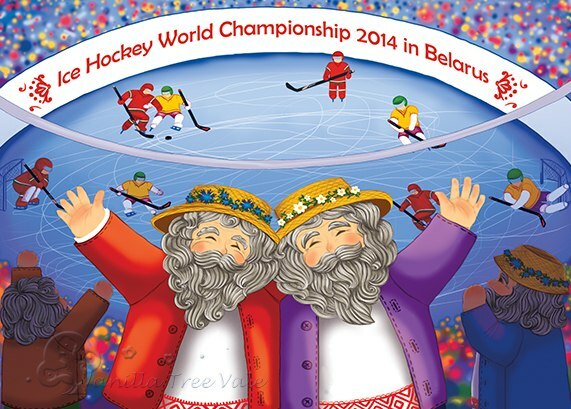 Really authentic cards from Belarus! 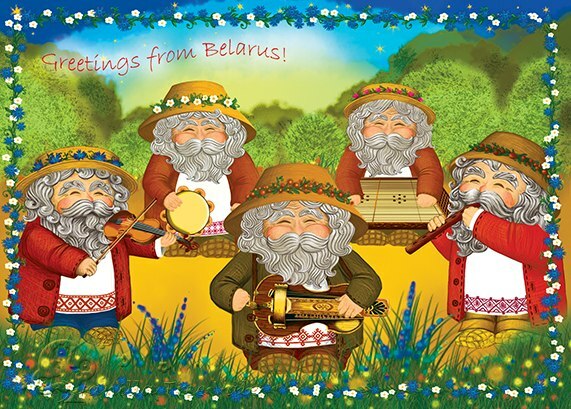 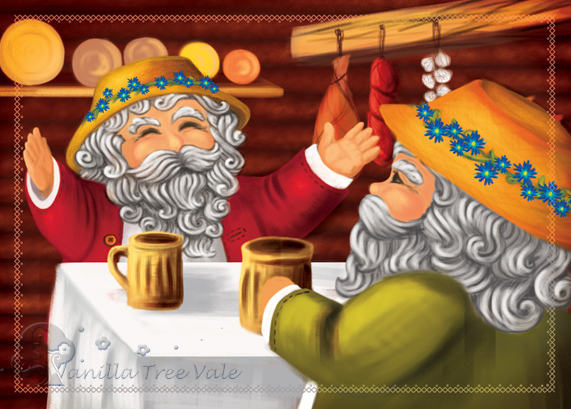 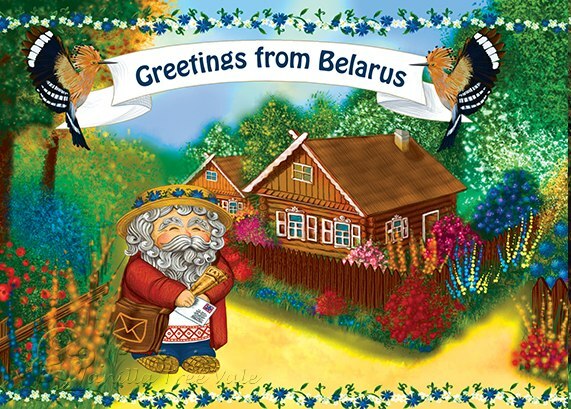 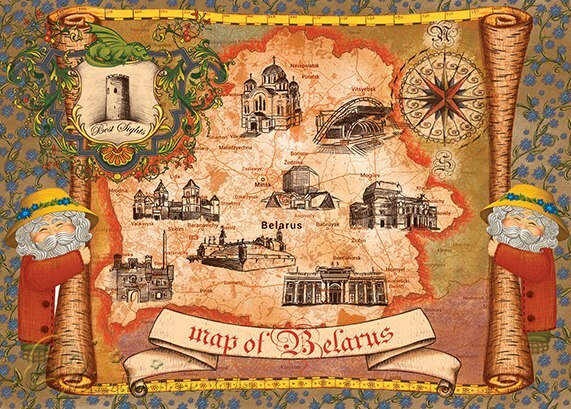 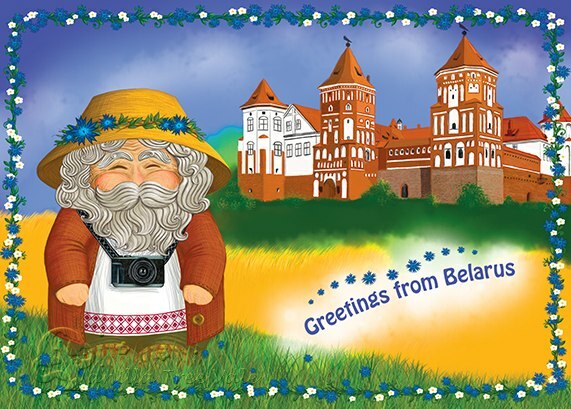 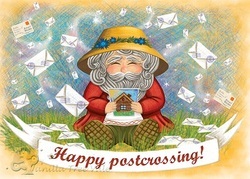 If you are willing to receive some of the Damavik cards, just mention Damavik in your postcrossing profile, and Belarusian users will eagerly send some to you.